Buffs away dead surface cells without disturbing natural PH balance, improving cell turnover rates. The dual exfoliating system consists of walnut skin-refining beads for a progressively intensive polish and almond oil moisturizing beads with encapsulated vitamin E to hydrate and soothe skin. It’s also an anti-aging cleanser for the body and is perfect to use to prepare skin for tanning products as well as our spa body lotions. 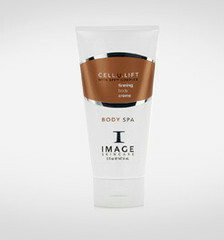 This physician formulated lotion hydrates, firms, tones, reduces cellulite, and drains toxins. EPP™ Enzyme Polypeptide Complex aids in penetration of ingredients, increases metabolism and natural cell turnover rates. The Hydroglycolic solution Slimming Factor Karkade in clinical studies shows a 170% increase in lipid metabolism plus a 17% decrease in excess localized fat tissue. A great choice for those with sagging, dehydrated, sensitized or swelling skin. Intense hydration and exfoliation revitalizes skin leaving it fresh and radiant. This lotion contains a high percentage of Glycolic Acid, a proven exfoliant, as well as Perfection Peptide P3 (5%) to assist in the glycolic effects while aiding skin so it doesn’t peel. 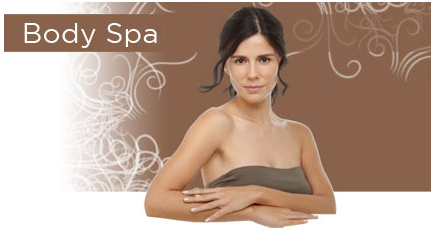 It’s indicated for all skin types, including rough, dry, aging skin. This moisturizing sunless tanner builds color slowly and evenly. Erythrulose with pigment is a natural sugar protein that gives skin a light, even golden shimmer that won’t turn orange. Aqualance provides time-released hydration. Body spa face and body bronzer crème won’t streak and doesn’t have an unpleasant smell. Use after exfoliating for a perfect sunless tan.